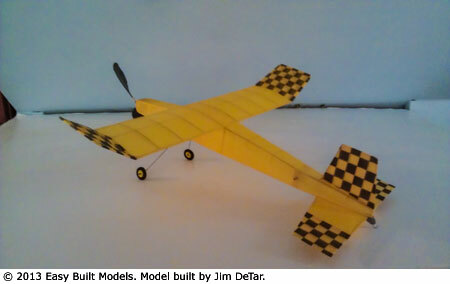 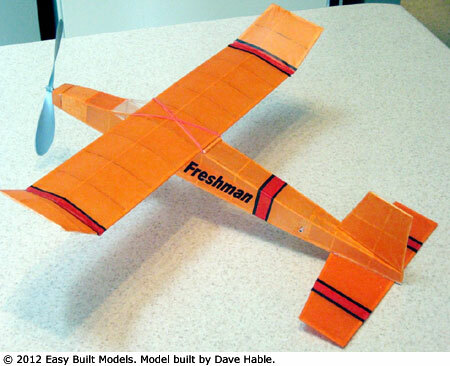 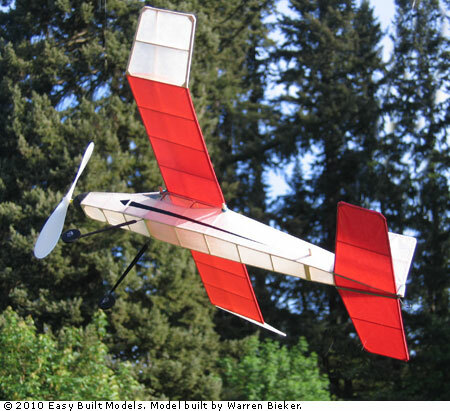 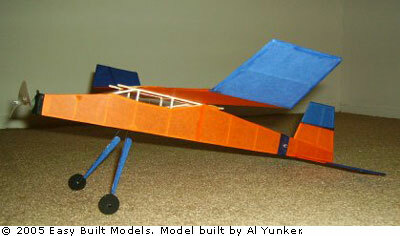 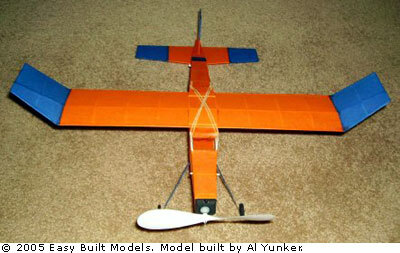 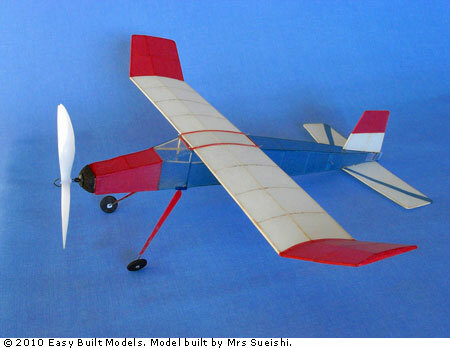 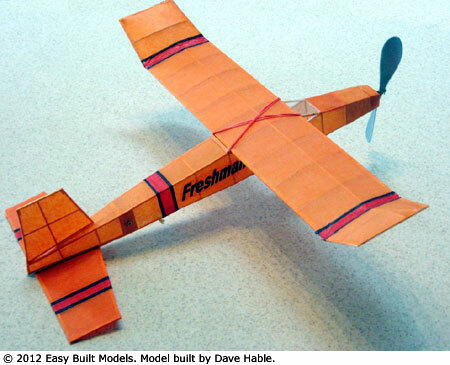 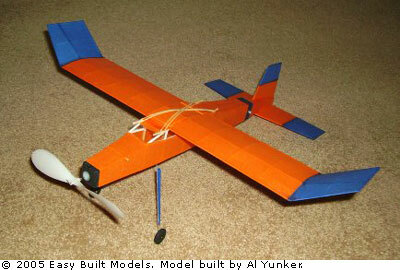 The Freshman Embryo, designed by Ken Groves, is a great flying, high-wing, endurance model. 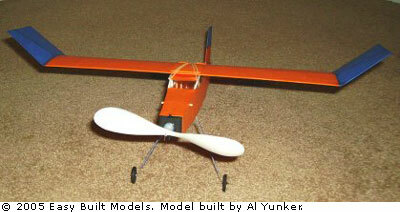 It is eligible for Flying Aces Club Embryo contests. 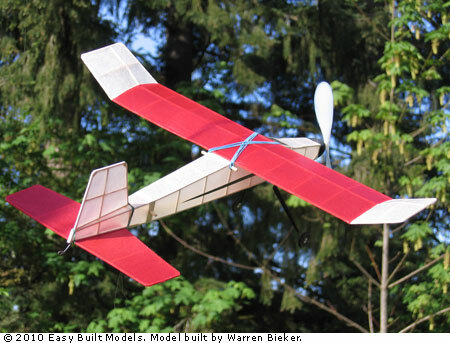 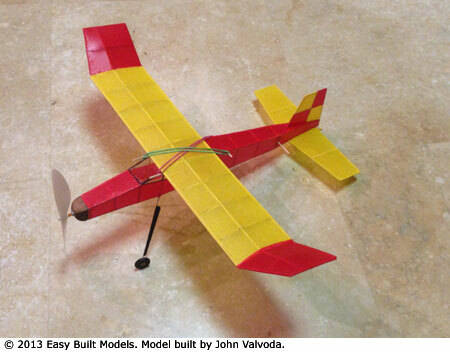 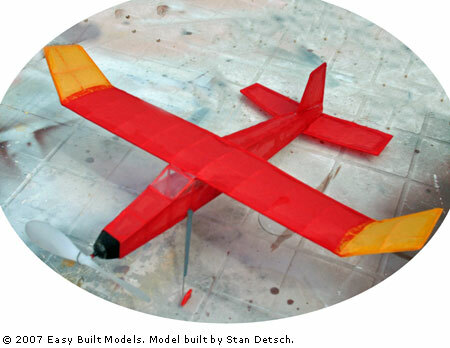 This laser cut free flight rubber powered kit contains a full-size rolled plan, building and flying instructions, laser cut balsa parts and balsa strip wood, FAI SuperSport rubber motor, E-B propeller, EBM thrust bearing, clear plastic for the windshield, balsa wheels, wire for the landing gear, and Easy Built Lite tissue in a variety of bright colors. 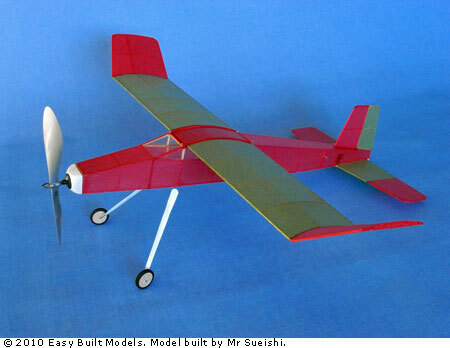 To build this model you will need a building board, hobby knife, fine sandpaper, pliers and glue. 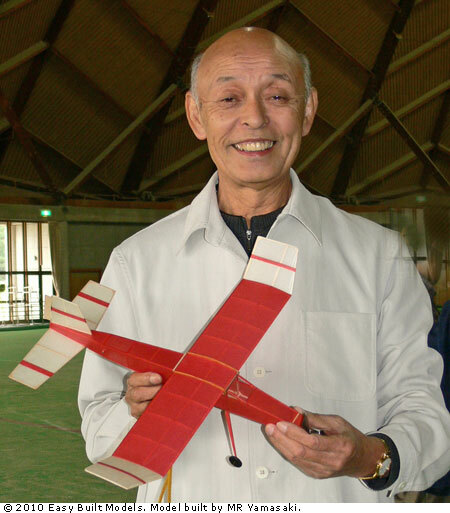 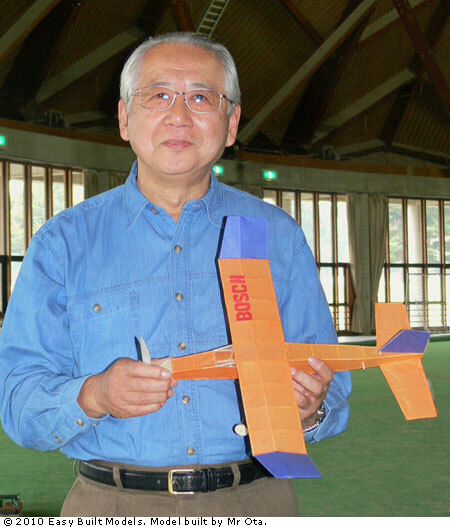 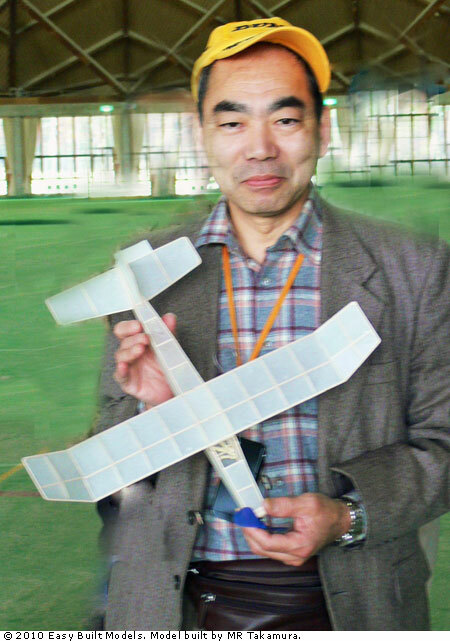 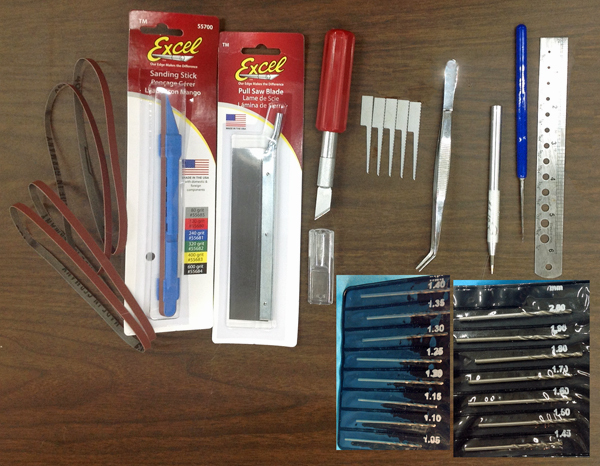 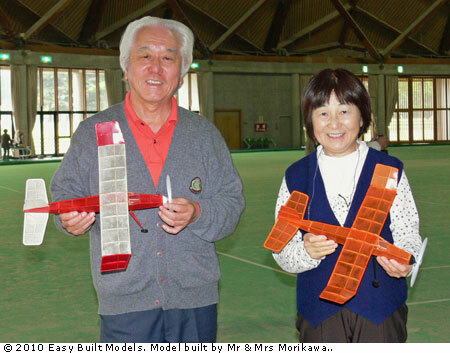 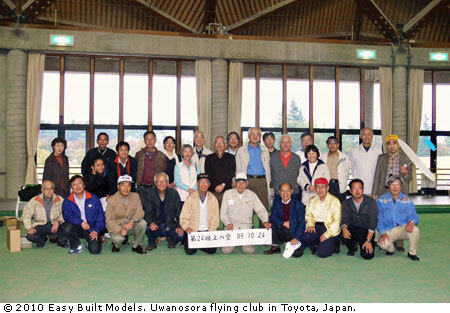 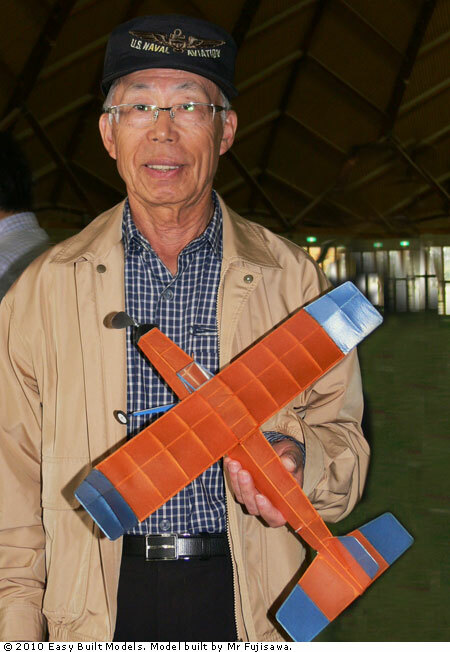 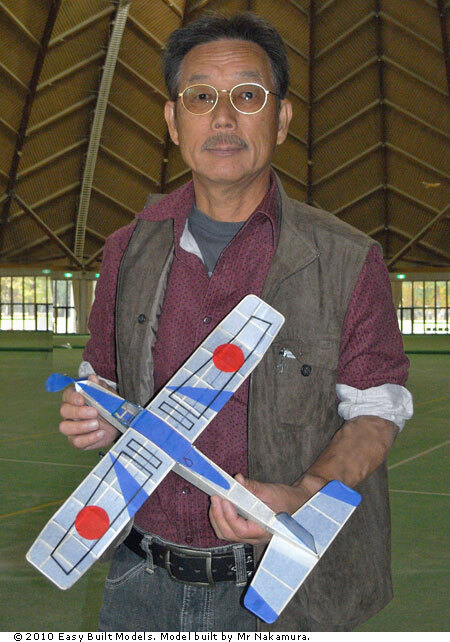 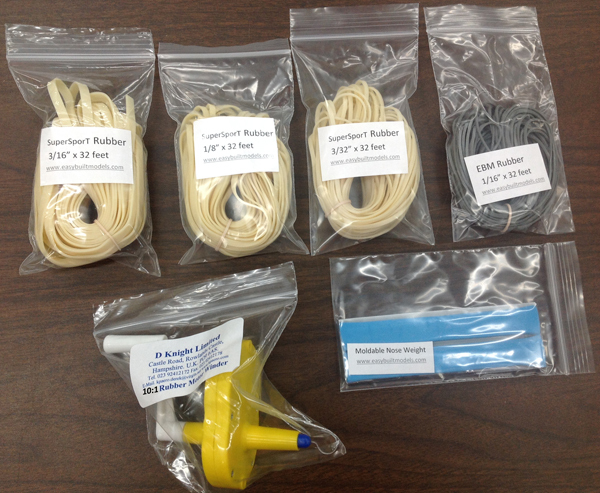 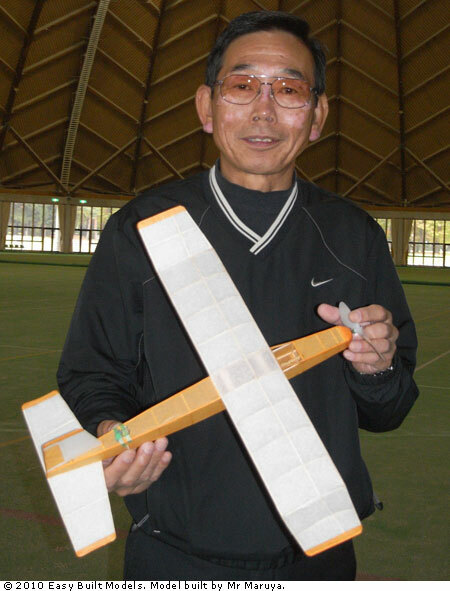 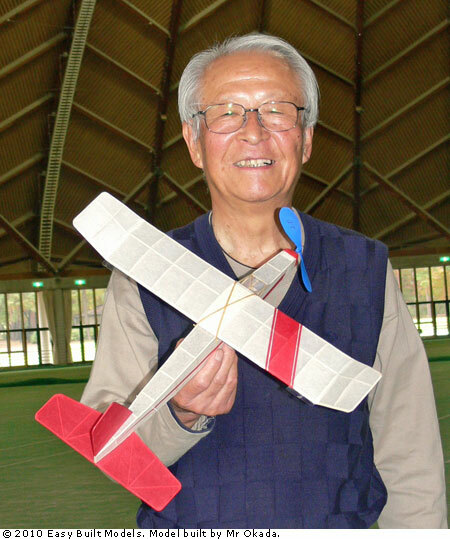 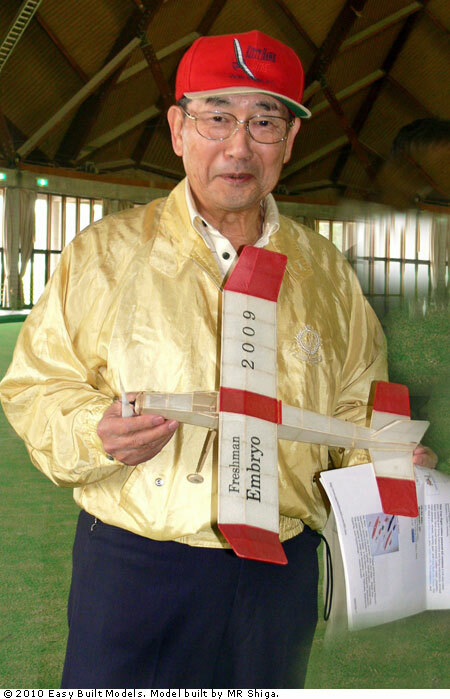 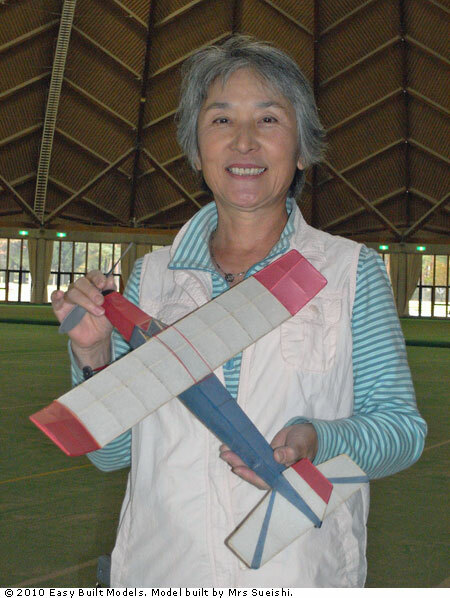 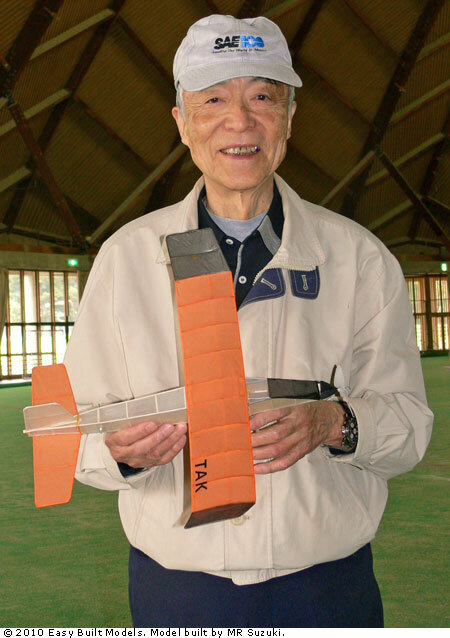 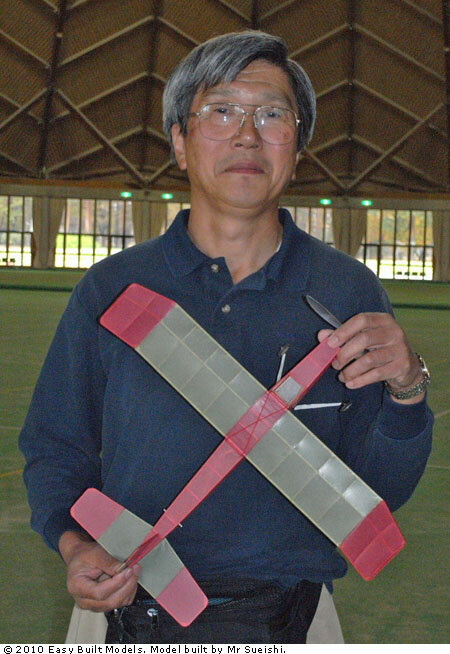 The Uwanosora flying club in Toyota, Japan held a contest in which each member built a Freshman Embryo kit. 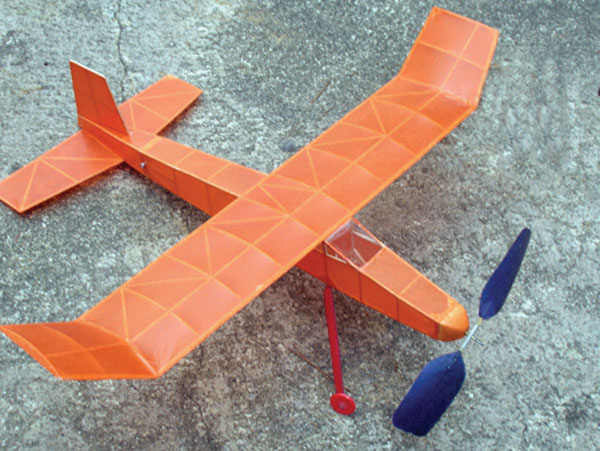 Each plane is unique in choice of tissue and decoration.